At Physio One, we offer a safe therapeutic approach that helps athletes effectively treat pain and achieve optimal performance. Our therapists are experts at injury assessment and rehabilitation by treating the musculoskeletal (muscles, bones, and joints) injuries of all athletes. Want to get Back in the Game? We can help. What is our Sports Injury program? Our Sports Injury program helps athletes effectively treat pain and return to normal function. We emphasize the importance of early injury recognition and treatment. Our Sports Injury program treats a range of conditions including acute sports injuries, strains, sprains, muscle, tendon and ligament repairs, tendonitis, hand injuries, shoulder dislocation, foot or ankle dysfunction and surgery rehab. Our Sports Injury program is a multi-disciplinary approach to the prevention, evaluation, and treatment of injuries. The first step towards recovery is getting an accurate diagnosis from one of our experienced clinicians. Typically, the initial stage of treatment involves reducing pain and promoting healing. Once pain and swelling are reduced, progressive reconditioning treatment will begin. Our Sports Injury programs are critical to helping ensure you return to the activities you love as quickly and as safely as possible. 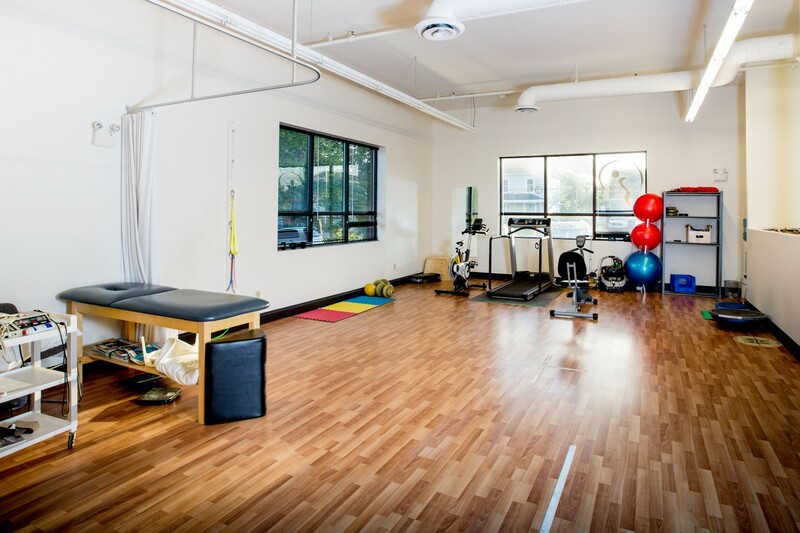 We are committed to providing state-of-the-art clinical care for athletes of all ages and skill levels.